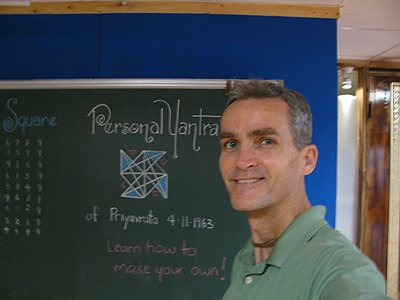 WHAT IS A PERSONAL YANTRA? A PERSONAL YANTRA is a unique geometric signature (pattern) of a name + birthday mapped to a harmonic magic square. Your Soul Yantra captures the frequency of this data and all the corresponding life lessons and qualities in art. You can also have a unique geometric signature of your secret wish. Any personal name, company name, partnership, affirmation — anything that can be described in words, can be captured as a SOUL YANTRA. A Yantra is neither magic nor a technique to invoke magic. Rather, in technical terms, a Yantra means an instrument, apparatus, talisman or a mystical diagram that encapsulates energetic vibrations. In some Vedic translations, a Yantra is described as a “machine.” Great yogis and ancient writings praised the power of Yantras as effective and convenient tools on the path of self-realisation. A Yantra is a Sanskrit word for “instrument” or “machine”. Much like the word “instrument” itself, yantra can stand for symbols, processes, automata, machinery or anything that has structure and organization, depending on context. Because a yantra can carry intention or invoke the presence of a deity or angel you can use a yantra of your favourite guardian angel or deity for protection or benediction. You can also meditate on your Soul Yantra and allow it to enter your subconscious. The numbers that pertain to your name and birthday contain vital information about your life path and character, revealing qualities for you to work on in this incarnation. When I give a numerology reading, I explain this in more detail, but essentially your Soul Yantra does the same thing in an art form. Using the ancient systems of magic squares, sigils and numerology we will create your absolutely unique SOUL YANTRA — a professionally coloured digital art that you can hang in your office or home, imprint on your business card as your logo, or just carry around for good luck. Some clients have even used their PERSONAL YANTRA as a tattoo! 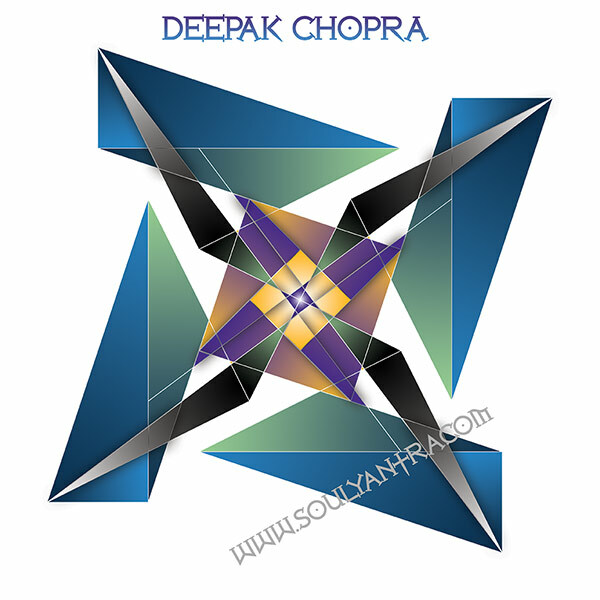 World renowned author and inspirational speaker Deepak Chopra has a day number of 8 so I used dark purples, blues and black as his featured colours. “8” people are leaders and know how to act on their wisdom. 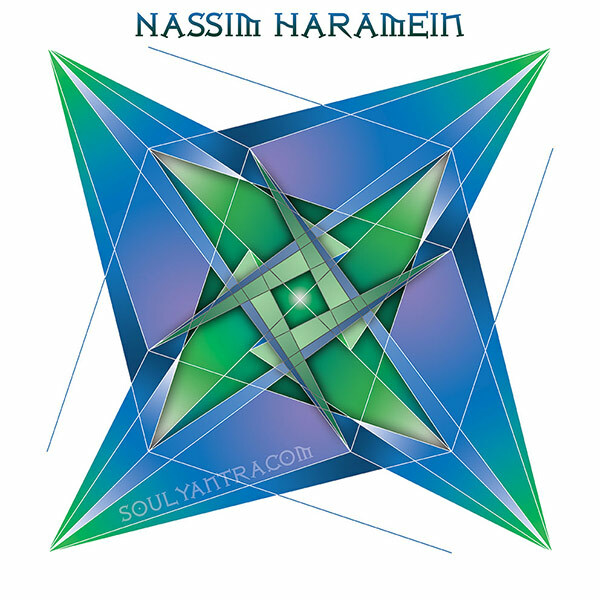 Then we have Nassim Haramein who has a special connection with the number 7, often a case with the deep thinkers, philosophers and physicists. Blue and green are the colours of 7. Get a complete numerological reading with recommendations on lucky days, colours, gems, etc., as well as protective mantras. I then take this information to create a uniquely individual geometric signature that can act as a lucky talisman or protective personal yantra which you will have full rights to print and reproduce. 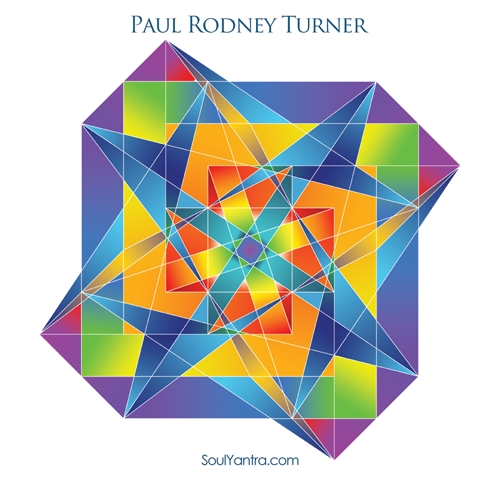 Paul Rodney Turner is a former monk and lifelong student of the ancient Vedas of India. Also known as the “Food Yogi”, Paul began his research into the mystical art and science of numerology and sacred geometry at the age of 19. 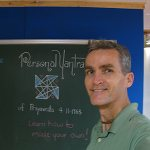 Combining this knowledge with his passion for artistic expression, Paul created PERSONAL YANTRAS as a new personalized form within sacred geometry. Because a yantra can carry intention or invoke the presence of a deity a PERSONAL YANTRA can be created as a unique corporate brand or of your favourite guardian angel for protection or benediction. Over the last 30 years, Paul has traveled and lectured in 66 countries. He is a numerologist, yogi, and holistic life coach.